I always very much look forward to this quite outstanding series of concerts in Warsaw which follows directly from the Festival in Duszniki Zdroj. 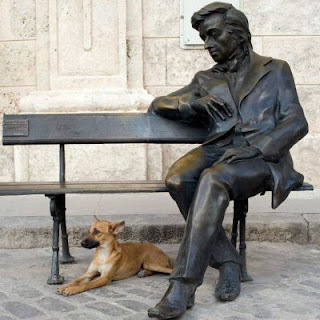 The main intention is to place Chopin in the cultural context of the Europe in which he lived and composed. This cultural context is absolutely vital to a full understanding of the composer and his contemporaries. The festival also promotes outstanding historical Polish composers that have been neglected or forgotten. The subtitle of the festival is ‘From Mahler to Liszt and Noskowski’ reflects this intention. One of the greatest attractions for me is the use of period pianos manufactured in the mid-ninetenth century by Pleyel and Erard. I have a restored 1844 Pleyel pianino at home which has been a revelation in sound playing Chopin from the New National Edition of his works overseen by Professor Jan Ekier. The Filharmonia was not packed out as I had expected but then it is the holiday season in Poland as elsewhere in Europe and many people are at the Mazurian Lakes or the seaside. The concerto was written by Chopin in the styl brilliant of his model Hummel, but carrying within it his own unique voice. This concerto was often chosen by him in performance both in Warsaw and when travelling abroad to Vienna, Munich and Paris. I had not heard Bozhanov play it since the Chopin Competition and was struck once again by his range of tone colours, refined articulation, a very personal sense of rubato and subtle pianistic nuance. However I really feel the expression of his unique pianistic and musical personalty is oddly hampered in concerto performances. I felt him oddly constrained. I felt this during the competition also whereas with Ingolf Wunder say, quite the opposite applies - he comes to life with an orchestra. These remarks exclude the affecting Romance. Larghetto movement which was full of superb tone, refined touch, the individual rubato expressing young love and sentiment (much of the movement is solo playing). This was the Bozhanov we treasure. Naturally his playing was of an extremely high order in the two outer movements but lacking real youthful sparkle and joy on this occasion. Perhaps having to work with a conductor, another distinct musical personality, meant he had to make certain musical compromises in the concerto. Coming to a mutual detailed agreement on tempi, phrasing and so on with our modern short rehearsal times must be difficult for the unique and individual voice this enormous talent possesses. Grigory Sokolov, for me the greatest living pianist, actually will not play concertos at all for this very reason. He states he cannot achieve sufficient common musical ground with any conductor, however close to genius the conductor may be. Krystian Zimerman formed an entire orchestra and trained it himself to perform Chopin's two concerti. Of course Bozhanov at his stage of development could not adopt such an attitude of exclusivity and continue to build an international concert career. Audiences love concertos. Bozhanov's encore on the other hand supports my contention that his playing is at its absolute best when performing alone. He chose as an encore a significant work by Debussy, the L'isle joyeuse that was inspired perhaps by the rococo painter Watteau. A surprisingly large and extended work to choose for an encore it was accompanied by a transformation in the pianist's keyboard personality. The chains hampering his brilliance were removed. An absolutely superb interpretation with a wonderful range of impressionist tone colour, subtle nuance and refined touch. I very much look forward to his solo recital on August 19th. Gustav Mahler's last great 10th Symphony is a profound, meditative work on the nature of mortality. This performance was dedicated to the memory of Bohdan Pociej - Polish music critic, musicologist and author who passed away in March 2011. The symphony was given a very fine performance this evening by an orchestra that possesses some outstanding instrumental sections particularly the brass, wind and percussion. 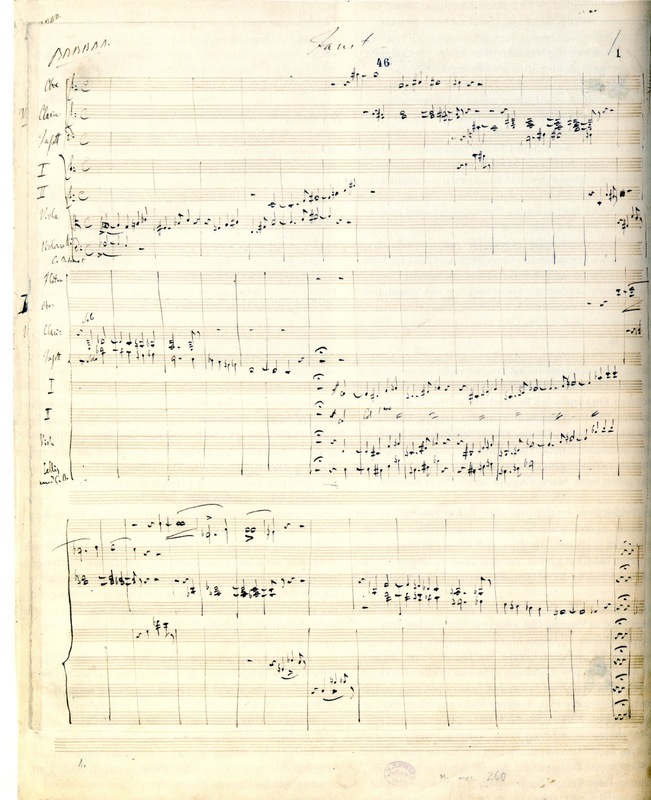 Mahler's written notes betray a mood of ecstatic abandonment to the idea of death and transfiguration and an obsession with Dante and the Inferno from the Divine Comedy late in life. He only managed to orchestrate the first movement and twenty-eight bars of the the Third Movement Purgatorio. The orchestration of the rest was completed in 1959. This was a quite extraordinarily successful achievement by the English musicologist, musician and commentator on music for the BBC, Deryck Cook. Kaspszyk and the Lutoslawski Philharmonic gave us a spiritual and times terrifying reading of this late work. At the conclusion of the piece the conductor remained immobile at the podium for some minutes, not permitting the audience to break the powerful spell of the afterlife this long and monumental symphonic music had woven into the atmosphere of the hall. I decided I had had enough meditiating at length on thoughts of death. I was spiritually exhausted by the Mahler and so decided not to attend the Brahms Ein deutsches Requiem in the Church of the Holy Cross later in the evening. I think dwelling on such huge pieces concerned with the nature of death at the opening of a music festival (a period of celebration after all) says a great deal about Polish preoccupations and the profound funereal concerns of this society in the midst of life. Warsaw has given me many unique musical experiences and tonight was certainly another of them. In what other country in Europe would a concert in the capital city's major concert hall with a great artist such as Marta Argerich begin at 11.15pm and end at 01.30am. Only in Poland could such an extreme thing happen where art and culture ride far above mere trade unions and administrative considerations. What a great concert this was! In the last year of his life Mozart wrote his Fantasy in F minor for organ and clock. Busoni augmented this classical work into a type of polyphonic baroque masterwork as he was to do with many pieces by Bach. Never overbown with dynamic, our two ladies gave a superbly synchronised and stylish performance of the work. Next came Liszt's Concerto Pathétique for two pianos S. 258 which is actually a reworked version of his Grosses Konzertsolo of 1849. Liszt spent two evening in July 1854 at the home of the Belgian composer Kefferath where he performed his transcription for four hands of Beethoven's Ninth Symphony with Anton Rubinstein. What a sight and sound that must have been! Liszt remarked: 'After dinner I sat at the piano and...played the Konzertsolo, my invariable etude....' The piece is a work of stunning virtuosity with many moments of intense introspection which reminded me of ominous themes embedded within the B minor Sonata and the Faust Symphony. Silberstein and Argerich were magnificent together in this work and one never felt that Liszt was simply showing off his technical prowess. The combination of two such pianists in Liszt was absolutely breathtaking and convinced me once again that it is the manner in which Liszt is played that can be so misleading as to the quality of the music. A grand nineteenth century piano work indeed that tells us so much about the mores of the century. These two magnificent lady pianists (is this the correct term?) gave two encores for four hands. A lovely Waltz for four hands by Rachmaninoff (not sure exactly which one) and Brazileira from Scaramouche by Darius Milhaud for 2 pianos Op.165b (1937). That encore was tremendous fun with these two and terrific festival fare. Wild scenes. After the interval came perhaps the greatest work on the programme, Juliusz Zarębski's Piano Quintet in G minor, Op. 34 (with Martha Argerich taking the piano part). This is clearly a masterpiece of the first order and a fascinating composer born in Zhitomir in Ukraine. To be listening to this passionate, almost possessed work, so full of soul searching agression and lyrical beauty at 1.00am in Warsaw with Martha Argerich and a group of brilliant young musicians is an experience not given to many and I shall always treasure this memory. I shall expand more on each movement in the morning as it is now 3.00am and I am wilting.....mad scenes of enthusiasm in the Warsaw Filharmonia at 1.30am with mutiple standing ovations until a weary Martha Argerich kissed us goodbye. they have adored her here in Poland since she won the VII International Fryderyk Chopin Piano Competition in 1965. She loves coming here too. Poland...such a country of extremes....just love it. Bozhanov as well as Trifonov has had a glittering period of engagements since the Chopin Competition which simply indicates that even if you do not win the exposure you receive is of incalculable benefit to your career. This evening's concert was entitled Let the Piano Dance and so he certainly did! I have seldom heard a performance of this work that fully realises that Chopin would have associated it with a boating song sung on the Venetian Lagoon by gondoliers. It is a wonderful bel canto work that is deceptive in that it develops heated passions which subside, but not typhoons of stormy passion on the open Mediterranean Sea. It is the scale and relative dynamics that are important here. Chopin himself played the work in a number of vastly differing ways if reports are to be believed, sometimes forte and on one occasion the whole work located between piano and pianissimo. The opening C# octave in the bass is almost invariably played as if the gondola crashes into the canal mooring before the dream begins. The French and German First Editions and the Mikuli edition have no dynamic marking at all for this octave. On a pastel shaded Pleyel instrument it would not sound as a insensitive thump either. It is simply a subtle gesture that indicates a gentle pushing off of the gondola from land before the lovers begin to sing. It also creates an impressionist wash of pedalled sound before the song proper begins. If this chord is thumped in a perfunctory fashion the rest of the work is rendered rather meaningless. Taking a voyage across the Venetian Lagoon in a real gondola (although a frightful cost these days) is a very educational experience in how to approach this work. No, not a fanciful idea at all. I once attended a performance of Liszt’s symphonic poem Tasso, Lamento e Trionfo at a concert in Budapest. The organisers had actually brought a real singing gondolier from Venice in full costume to at first sing the original theme on which Liszt based his work before the symphonic poem itself was played. Liszt used the theme of the song of the gondolier "La Biondina in Gondoletta" (loosely: the blonde in the gondola) by Giovanni Battista Peruchini in his piano work Venice and Naples from the Deuxième Année de pélerinage: Italie and later in this symphonic transformation. A fascinating and imaginative idea by the concert organisers in Budapest. However I think I am fighting an uphill battle to convince pianists of the opening of the Barcarolle. Nikolai Lugansky opened the Barcarolle as it should be done in Duszniki – but then our perfectionist in all things would do so. I am afraid that Buzhanov on this occasion…but it was a fine if rather conventional account. He then gave a carefully structured performance of the demanding Chopin B minor Sonata Op. 58, one of the greatest of works in piano literature. Bozhanov perfectly maintained the difficult balance the pianist must maintain between the traditional classical sonata form and romantic expression. He sustained the long Largo movement with superb control of the cantabile line and beauty of singing tone. I remember so well his performance of this in the Chopin Competition in 2010 when the sound seemed to take wing and hover suspended above the audience. The three Chopin Waltzes (op. 64 No.3 ; Op.34 No.3 ; Op.18) were elegant, graceful, stylish and danced all the way to the Chopin heaven. Wonderful. The opening repeated B flats of the E major Grande Valse Brillante was a wonderful ‘call to the floor’ for the dancing couples. Bozhanov plays this fanfare with great insight. No pianist plays the waltzes better than Bozhanov to my mind except very perhaps Garrick Ohlsson. After the interval Schubert’s 12 Ländler D. 790 op. 171 again with a superb understanding of dance rhythms. In the Debussy La plus que lente and L’isle joyeuse Bozhanov showed his great command of impressionistic colour at the keyboard. A sensitive and rich palette. 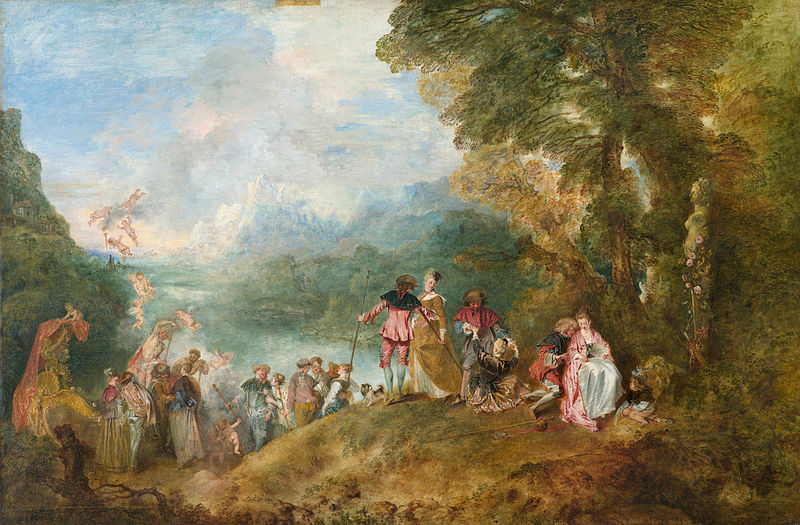 Certainly he created the rococo colours of the painting by Watteau that Debussy may have had in mind when composing L’isle joyeuse. He continued with the Scriabin Waltz in A flat major Op. 38 a piece I am not familiar with but so eloquently played by Bozhanov. Finally in the recital a powerful rendition of the Mephisto Waltz No. 1 by Liszt. This was a brilliant performance but as I had heard Trifonov in his demonic, possessed and electrifying performance at Duszniki less than a week ago…the greatest I have ever heard by any pianist…well..anything I say will be coloured by this… Bozhanov gave a marvellous performance too. Was Bozhanov ever so slightly weary this evening? Pianists are not machines after all although they are expected by audiences to be on perfect form for every concert – an impossible and cruel demand. He received a tremendous reception with multiple standing ovations and ‘Bravos’ – perhaps it was me that was tired! Well…after this particular Duszniki festival …who would not be a spent force. 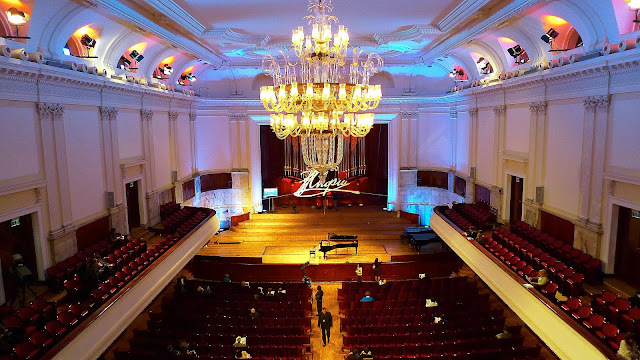 What an inspired idea to hold a concert of Chopin, Mozart, Moniuszko and Schubert songs together with Chopin Nocturnes in this enchanting theatre! Miraculously this 18th century Court Theatre, the sole surviving one of its kind in Europe, escaped the sytematic destruction of Warsaw by the Nazis. The seating is of refined simplicity and the decoration is superb with a magnificent ceiling painted by Jan Bogumil Plersch representing Apollo driving a quadriga surrounded by Geniuses. It is a perfect example of the unique Stanislawian aesthetic in art and architecture evolved by that extraordinarily gifted but somewhat unpopular King of Poland, Stanislaw Augustus Poniatowski. Four medallions in each corner represent the world's greatest dramatists - Sophocles, Moliere, Racine and Shakespeare. For me the most wonderful feature however is the trompe l'oeil paintings a la Veronese above the cornice which give one the impression of boxes filled with happy and festive spectators looking down at the stage and auditorium dressed in XVIIIth century Polish costume (that wonderfully decorative combination of the Sarmatian and the French rococo). I think the last concert I attended here many years ago (my memory is not what it was) was a harpsichord and piano recital given by Elzbieta Stefanska and her mother, the Polish genius of Chopin playing, the sadly missed Halina Czerny-Stefanska. Lieder recitals have become so rare in modern times in comparison to instrumental concerts. This must come from the shocking decline of music-making in the home. In this recital I will not go into the performance of each of the many songs with their texts by great and more modest poets, suffice to say they were performed with great sensitivity, elegance and tact. Goerner is unsurpassed in his performance of Chopin Nocturnes on period instruments. In this setting......divine. I can heartily recommend the new CDs in the Real Chopin Series made by these artists and others. I can scarcely think of a more spectacular manner to be introduced to the Russian National Orchestra under Mikhail Pletnev than with this work. Here Liszt's fascination with the percussion section of the orchestra is clearly evident and the first blast of that Russian brass section...it was as if the gates of Hades had opened to receive me! In this work Liszt utilises four timpani, two bells, military side-drum (a fantastic atmosphere was created by this), gong, cymbals and bass drum. In Weimar where he wrote the work, Liszt had some brilliant brass players who could mange notes others could not. The composer and conductor Joachim Raff was closely associated with the orchestration and performance of Liszt's works at this time. He discovered that anyone who performed Liszt was in danger of jepoardising their own career so 'advanced' was his music considered by the 'conservatives' of the day. This was dramatic performance with an orchestra of superb ensemble and absolute emotional committment to the task in hand. They possess what might be described as terrific 'tightness' of rhythmic attack. Pletnev is tremendously authoritative in conducting style and extraordinarily precise in direction. A benchmark surely in orchestral playing and made one reconsider and overturn absurd 'received judgments' concerning Liszt's qualities as an orchestrator and symphonic composer - he invented the form of the Symphonic Poem after all. I love the piano concertos of Liszt and am always disappointed they are so rarely played in the shamefully restricted concerto repertoire one is usually offered these days - except this year of course. Think of the fabulous riches in the nineteenth century Romantic concerto repertoire - the Polish-Prussian composer Xaver Scharwenka for example - his 4th Piano Concerto in F minor is overwhelming in impact - if you can play it of course. His music is completely and unjustly neglected in Poland and elsewhere. The soloist Denis Matsuev, as one might expect of a Tchaikovsky Competition winner, had a huge tone and deep physical involvement with the music and the instrument itself. If one has ever studied the piano seriously, you have to remain speechless, stop breathing in fact, at what is demonstrated by such an artist to be actually possible at the keyboard. He paints with rich broad strokes of primary colour and power. In Liszt's time pianists were divided between the 'thunderers' and the 'poets'. I think this still applies - only absolute dynamics, structure and stamina of the instruments to withstand the war being made upon them, change. 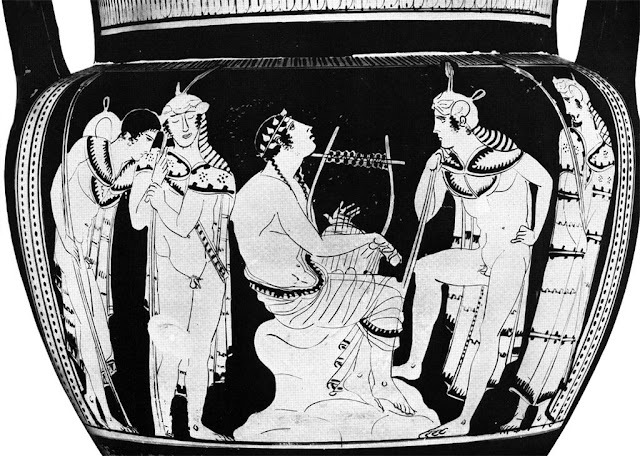 If you have read my previous postings on music you will know I tend towards the 'perfect poets' approach rather than the raw power and absolute virtuosity of the Volodos brigade - sorry - but a man is what he is. Matsuev gave a great virtuoso reading with this astonishing orchestra but I felt there could have been more poetry than always bringing to bear such big guns. Liszt balances well the chamber music ensemble and soloist exclamation very skilfully in this dramatic concerto. Richter (with Kondrashin and the LSO in 1961) and Cziffra (with his son and the Orchestre de Paris in 1971) give more sensitive, poetic but equally electrical and virtuosic accounts. The premiere in 1855 in Weimar with Liszt as soloist and Berlioz conducting must have been a spectacle and an experience in sound! Was this the Thracian vase painting Liszt had in mind? This was a truly beautiful performance full of sensibility and the two harps Liszt requires (the lyre of Orpheus) and the orchestra under Pletnev took us into a poetic, contemplative realm effortlessly. Liszt wrote that the work 'hovers quite simply between bliss and woe, breathing out reconciliation in art.' Wagner loved this work. The Weimar premiere was part of the celebrations for the birthday of the Grand Duchess Maria Pawlowna, an amateur musician one of Liszt's rare supporters in Weimar. 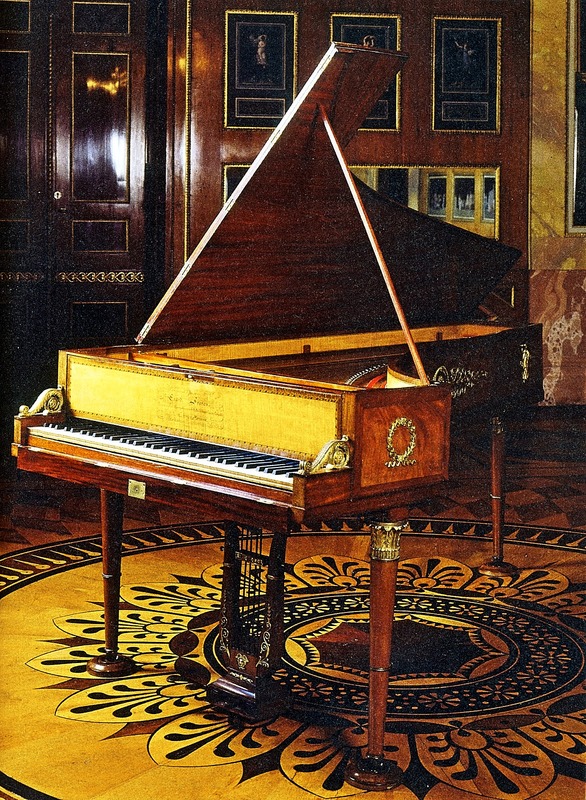 During my recent visit to Weimar for the present Liszt celebrations I viewed the restored early Erard piano originally built for her and displayed in the actual room for which it was designed in the Palace. The premiere was in Weimar in 1857 with the composer conducting and one of his pupils Hans von Bronsart as soloist. We do tend to forget just how forward and abrasive these gound-breaking works would have appeared to contemporary audiences, especially in conservative Weimar. 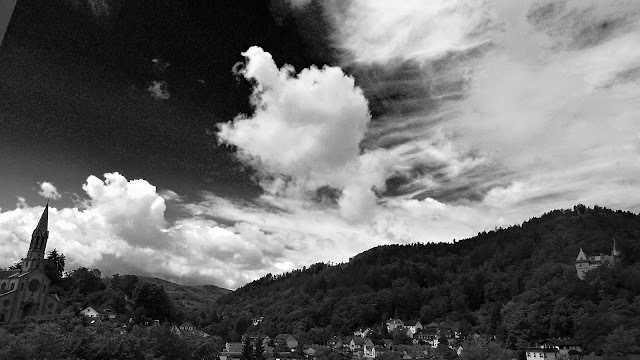 That bohemian composer living in sin up there in the Altenberg on the hill.....the devil take him and all his works! The RNO under Mikhail Pletnev with Denis Matsuev as soloist gave a very fine performance of this more meditative concerto with so much rhythmic detail and precipitate dynamism and 'attack'. Matsuev brought off the more virtuosic sections with leonine magnificence (I do wonder if Anton Rubinstein played and sounded like this - reports seem to justify this observation). I was again reminded of the Russian Soviet saying "The heavy hammer breaks fine glass but forges strong steel." The interpretation of any particular pianist is such a matter of personal taste...but one must credit what has been achieved to reach these fantastic heights even if it is not quite what you want to hear or how you think a work should 'go'. Liszt is much misunderstood as a composer and virtuoso pianist and needs rehabilitation. In his orchestral works Pletnev is going a long way to doing this with sensitivity and understanding. The sheer opulence of the sound of this orchestra is addictive. I cannot wait until tomorrow with Trifonov and the Tchaikovsky. If ever there was a case for a large modern concert hall in Warsaw with properly tuned acoustics and performance space tonight was it. I first came to Warsaw in 1991 and accepted the Philharmonia as a decent enough concert hall in a country that had just emerged from under the clouds of the previous regime. It is now 2011 - twenty years later - and Warsaw, the capital city of Poland, still does not have a large modern concert venue. I think this situation shameful and hypocritical as the political establishment constantly speak of the great importance of 'culture' in Polish life, how cultured the best Poles are, how intellectual the best Professors are in the nation, what a brilliant city Warsaw is. Chopin is a soul not a brand. Anyone who has read my book on the country will know the tremendous admiration I have for Poland, Poles and particularly Warsaw, not necessarily a great love of the modern city city but admiration for the inexpressible courage that rebuilt the ruins, admiration that the city exists at all after the horrors of the Second World War, a wonderful city in the leafy summer months. Sufficient authentic political will to support culture does not exist in this country. It is a scandal. I am an Australian. We built one of the world's great opera houses in Sydney at a time when Australia was not considered a particularly 'cultured' country (quite the opposite in the UK - Crocodile Dundee was many things but 'cultured' does not spring to mind). Australia was not rich at that time and it was a country mainly obsessed with and outstanding at sport. But the political will to improve our image culturally speaking was there in abundance and look at the result - an iconic building in world terms that has brought immeasurable benfits both financial and in terms of world image to my country. Apart from revolutionising music (there is now a 24 hour FM Opera Music Radio Station in Sydney) it continues to fuel tourism at a tremendous rate. Everyone in the world wants to see the Sydney Opera House. This sort of attitude is supremely out of date and anachronistic in 2011. I see myself as a citizen of the world and not constricted by narrow constipated nationalism which is the source of so many of the world's woes today. Many older people of taste and refinement in Poland, people whose integrity I respect, have told me matters were far better in education and cultural support under Polish Socialism. Funds are at present constantly being cut to private orchestras; Polish musicians of great talents are passed over for foreign musicians who have more 'celebrity'; far more seriously, teachers in local schools lack the funds to properly musically educate wonderfully talented and enthusiastic Polish children. At least Mr Leszczynski of the National Chopin Institute, the Director of this festival, is battling terribly hard to reverse this process and present us with unknown Polish composers and home-grown Polish musicians of enormous, world-class abilities. The superb late-night concert with Martha Argerich and Polish musicians was a case in point. He somehow managed to fund a visit here by the magnificent Russian National Orchestra under Mikhail Pletnev and also the Orchestre des Champs-Elysees and Collegium Vocal Ghent under Philippe Herreweghe - all orchestras in the highest world class. And yet we are still rushing around Warsaw from venue to venue apologising for this or that shortcoming twenty years after 'freedom'. To quote the immortal Goon Show precursor to Monty Python 'Suddenly nothing happened'. His is an uphill battle against lack of proper political will to truly and substantially support culture and cultural initiatives. Great things have been achieved, some quite extraodinary, in many areas of life in Poland since 1989 but culture, especially musical cuture, is not one of them. The Philharmonia in Warsaw has a fairly good acoustic for piano recitals (many competitors in the Chopin Competition commented on this) and for orchestral works that require small forces. Basically it is a small, not unnattractive but now old-fashioned nineteenth century design with plaster and marble walls and a vaulted plaster ceiling which does nothing for unwanted 'hollow' reverberations. The Chopin concertos, Mozart and Baroque works utilise relatively small forces after all compared to Mahler, Tchaikovsky or Wagner, even Liszt in say the Faust Symphony - his masterpiece which I had hoped to hear on this festival. However tonight I watched Mikhail Pletnev forced to painfully thread his way uncomfortably through cluttered music stands to the conductor's podium on too small a stage for the large forces of the Russian National Orchestra. He and Trifonov stumbled back to the front for their applause, then one of them tripped over a music stand and the sheets of music went flying, the girls carrying flowers stumbled. Do not Poles find this sort of thing deeply embarrassing? Poland at present holds the Presidency of the European Union for goodness sake - a miracle if you know anything about Polish history. Many of my friends sitting downtairs (I was in the balcony) complained 'The orchestra was too loud'. The orchestra was not too loud I replied, but rather the hall is too small for a modern orchestra of virtuoso technique playing the great works of Western music. The Warsaw Filharmonia - elegant and beautiful, a noble building but no longer adequate in 2011. In addition we need an alternative, large modern venue somewhere in Warsaw. I notice there is no problem in finding the money to rebuild a vastly expensive football stadium with a limited future for the World Cup in 2012. No doubt Warsaw will soon be bidding for the Olympic Games. I am not against sport - my father played cricket for Queensland, I was quite a good spin bowler and I regularly work out at a gym. But it is time something was done about this lack of a large proper modern concert venue with modern facilities in Warsaw. Yes, some money has thankfully been found for the renovation and construction of a small venue in the Warsaw suburb of Praga for the use of the fine orchestra the Sinfonia Varsovia. Although very welcome indeed, this is not the type of thing I am referring to at all. Even small provincial cities in Germany and Scandinavia all have large modern state of the art concert venues, some of them quite magnificent. 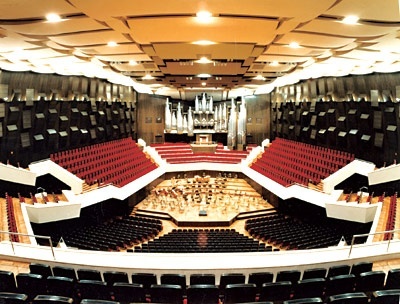 Take for example the Gewandhaus in Leipzig - and this city also laboured under the draconian former regime. Why cannot we have something like this in Warsaw? Perhaps not as grand but something better as an alternative to the Filharmonia at least! Lack of money, problems over land acquisition, I hear you cry. It is a question of the Polish temperament, lack of consensus concerning culture, perceived financial priorities and having the political will to accommodate musical culture into life as a vital and civilised part of human existence. Could not politicians put something concrete behind all this parading of Chopin as 'the great Pole', the great world composer. He was all these things but can we not see something solid to back up and support all the fine words, all the window dressing. I dare not even mention the great concert houses of Berlin, London or Paris. The Artistic Director of the superb Warsaw Chamber Opera, Stefan Sutkowski, that courageous and outstanding musician, intellectual and gentleman who has done immeasurable good for Poland's cultural image abroad, has had his own funding reduced or cut. He once showed me very detailed plans for a large modern concert hall in Warsaw that he had been working on with architects for years but has (at least to my knowledge at present) found little political support but only resistance to implementation and a series of obstacles. In life there are always plenty of reasons not to act. The secret of success in life surely is to think positively, work together in consensus and 'give it a go mate' to be Australian for a moment. It is how my great country was built, hewn out of the roughest bushland tens of thousands of miles from anywhere only a couple of hundred years ago. I suppose if politicians saw there was serious money to be made personally from facilitating the building of a proper world-class modern concert venue in Warsaw we would have one. Altruism is thin on the ground today in the new Poland of rampant capitalism. Mr. Leszczynski is to be heartily congratulated on his incredible courage and success in attracting foreign artists to the country. What a pity his great talent to persuade and attract some truly great artists cannot be significantly supported politically and crowned with a proper large modern arts and concert facility. Polemic over but the scandal remains. This concerto is so well-known by just about everyone, musical and non-musical, every great pianist and those not so great having recorded it, just peforming it must be a daunting task. Trifonov gave the first public performance of the work since recently winning the Tchaikovsky competition in Moscow. In fact it is not generally known that he played the piano with an orchestra for the very first time here in Warsaw last October in the Chopin Competition. What a miraculous flowering of talent this last year has been for him and us to witness. Remember this concerto was at first considered 'unplayable' by the lion of the keyboard, Anton Rubinstein. Although I consider him a poet of the instrument rather than a thunderer Trifonov produced a magnificent full-blooded and athletic tone from the very first bars. Pletnev, being such gifted pianist himself, conducted this magnificent orchestra with great sensitivity towards his young compatriot. It is too easy to forget just how young Trifonov actually is (20) to be playing this enormous work in such an accomplished manner. Together they adopted a true moderate molto maestoso tempo in the opening movement with superb attention to detail in all sections of the ensemble. The brass and woodwind and in particular the horns miraculously on perfect pitch all the time. How do they do that? Trifonov as ever is a transformed being when the spirit of music takes hold of his soul. Matters became occasionally ever so slightly rhythmically unstable in the Andantino simplice but Pletnev controlled and steadied the vast forces of his orchestra superbly to assist this young tyro of the instrument to stay in synchonisation. He knows the piano part so well himself. The final movement Allegro con fuoco again was packed with strong forward rhythmic drive and overwhelming authority. I have always felt this is not a young man's concerto in the way Chopin's concerti spring to life with the vigour of youth and the styl brillant. 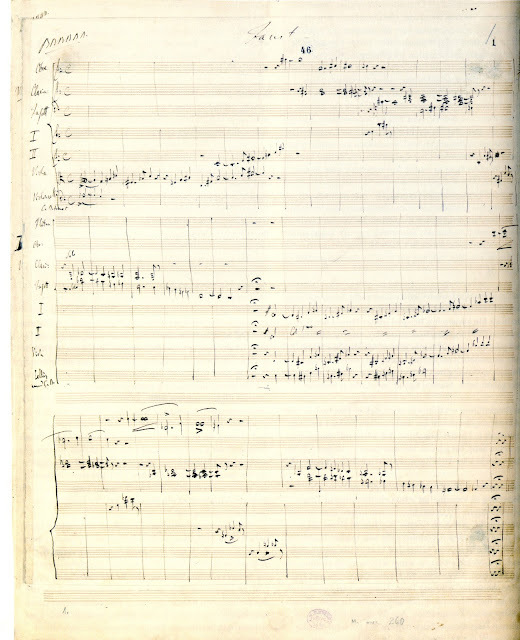 Tchaikovsky wrote the first draft when he was 34 and revised it finally when he was 48. Chopin wrote his concerti when much the same age as Trifonov - 20. Trifonov communicates his love of the music as opposed to love of his own virtuoso performance (an all too common failing today) directly to the heart of the audience. We know and feel this musical integrity instinctively. All men are equal confronted with Beethoven semiquavers - it is what happens to them when one actually begins to play that is important. It was a great performance and deeply satisfying musically and emotionally. Tchaikovsky wrote this work around the same age as he wrote the concerto - 37. The first movement again gave the incredible brass and woodwind sections of this orchestra the opportunity to shine, to blaze really. The fortissimo explosions were like lightening flashing over the Russian steppe. The oboe in the second movement (Andantino in moda canzona) was very affecting in its melody and gave the strings a chance to show their wonderful ensemble and cohesive qualities in a beautiful swaying ostinato. Their virtuosity was displayed in the Scherzo which is played entirely pizzicato ostinato so perfectly synchonised the effect was quite uncanny. I felt many of the same positive vibrations about Irene Veneziano's playing as I did during the Chopin Competition. See http://www.michael-moran.com/2010/10/xvi-international-fryderyk-chopin.html for my notes on her. The first half of her recital was devoted to Chopin. She carefully chose the Etude in C sharp-minor Op. 25 No.7 which is a far more reflective and thoughtful piece than the majority of his etudes. She performed it with a refined touch, nuance and tone of great sensibility. The Scherzo in B flat-minor op. 31 was a musical and civilised interpretation that never bordered on the hysterical which is so common among young players today. She presented the music in all its extreme shifting moods and not simply as a vehicle for her own ego as a virtuoso pianist. This is such a relief after being pounded into the ground this month by too many young pianists who use the music only as a platform to show off their lightning fingers and thunderous sound. Veneziano never does this and allows the music to speak for itself - presumably the music is what the audience have come for and not a circus act (and I will not mention the names of our well-known pianistic circus performers - you know them). In the Polonaise in F sharp minor I noticed her very skillful pedalling, a feature of the entire concert. In Chopin she uses very relatively little pedal which is absolutely right to produce the sort of 'classical clarity' that he always desired to reveal his inspired counterpoint and inner voices. She rarely uses the 'soft' pedal except for colour when many use it to lazily reduce the dymnamics. The long section of repeated 'miliary' octaves in the left hand in this Polonaise can become intolerable, inflated and absurd if over-pedalled. On a Pleyel instrument of Chopin's day the bass is not so dominant as on a modern instrument and consequently the repeated phrase on a Steinway must be under-pedalled and detached. She achieved this perfectly. Chopin himself once commented 'The study of the pedal is a study for life.' It is vital in interpreting his music on today's instruments. The Ballade in G minor, op.23 remained a cohesive musical narrative that never became melodramatic - another unpleasant feature of so many performances of this work that strain for effect rather than musical expression. This exaggeration is very much a modern phenomenon and Veneziano is not a victim of it - neither is that superlative Swiss-Italian pianist Francesco Piemontese. I want to seduced by music not assaulted by it. After the interval we moved onto El amor y la muerte, the fifth piece in the Goyescas cycle by Granados. Technically this is a very difficult work and showed that Veneziano has all the power and digital dexterity needed for works that require it. She showed the relaxed improvisational feel and mastery of mood swings which this work requires. This being the Liszt year she then turned to the composer and chose a Schubert transcription he made of Standchen (Serenades) S. 560. Veneziano played it ardently with very affecting poetry (a text from Shakespeare's Cymbeline) and such cultured elegance of touch and tone with the dynamics of the 'echo phrases' beautifully controlled. A beautiful atmosphere of sweet fading nostalgia was created that is so characteristic of Schubert. The final work in her concert was the Liszt Rapsodie espagnole S. 254. If anyone is in any doubt of her virtuosity and power when required then this performance displayed it. Fully of energy and fire, nobility and power - also the Spanish dance rhythms and the folia were excellent. She had thought about her encores and produced the music for a virtuoso arrangement by the Polish composer Henryk Melcer of of the popular Polish song Prząśniczka ('The Spinning Girl') by the nineteenth century Polish composer Stanislaw Moniuszko. She followed this by the terribly demanding and highly entertaining Etude Op. 111 'Toccata' by Saint-Saens. Incidentally Melcer's two piano concertos are magnificent examples of the late Romantic piano concerto, full of stirring Polish nationalism, and unjustly neglected (and difficult to play!). The communication this pianist has with the audience is always emotionally warm and affectionate. She always presents herself to the eye so elegantly too. It is clear Irene Veneziano loves music rather than self-serving display and brings a welcome breath of modesty, culture, charm, refinement, poetry and dare I say it, the sensibility of the feminine to her fine playing which we are desperately in need of in these days of so much crude pianistic exhibitionism. Such qualities undoubtedly contribute to her fine qualities as a chamber musician in addition to being a soloist. Perhaps I had looked forward with too much anticipation to this recital as the wonderful television channel Mezzo had praised her Liszt B minor Sonata to the skies. Except for a beautiful and almost moving Marche funebre. Lento from Chopin's B Minor Sonata Op. 35 I found this recital unacceptably exaggerated - either insinuatingly piano or brashly triple forte without much in between in terms of dynamic or articulation. Too much over-pedalling for my ears. She played Prokofiev's Sonata No. 7 op. 83 in B major, the Ballade in F minor by Chopin, the Liszt Mephisto Waltz No. 1 (what a canyon of understanding between her simple virtuoso idea of it and Trifonov's profound and unsettling reading) and finally 3 sections from Stravinsky's piano version of Petrushka (lately supplanting Pictures at an Exhibition in many young pianists' repertoire to pound us with). I am tired of this all too common violent constant physical assault on the instrument and so is my soul. And it is not only this young, clearly brilliant, young artist who really needs to exercise some self-discipline of her immense talents. There are now a group of such pianists who use the music of the master composers merely as a personality platform. Clearly if such pianists, all 'geniuses' we are told from daylight till dark, gain the impimatur of the legendary Martha Argerich and the Lugano Festival, the Musikverein, the Verbier Festival, famous conductors, famous orchestras, Decca, EMI...or are winners or 'Laureates' of any competition you care to name in the farrago of competitions that beset us, then everything must be musically perfect and I am wildly wrong in my judgements. There must be something wrong with you Michael and your musical judgement. Would you expect me to admit this? Depends who tells me. I am perfectly open to discussion and change my mind if I think I am misguided. Well, music is a business after all, the entertainment business and if that is what people want give it them if you aspire to a brilliant and financially successful career. However I can personally no longer respond to only digital pyrotechnics. Is this a sign of age? Probably. There is a considerable and in many ways alarming lack of charm, poetry and sensibility in the vast majority of young performances except of course the ones I have praised so highly at Duszniki and at this festival. It seems I am out of step with modern 'star' demands and music teachers' priorities (they too have careers launched by successful competition students). A moderation in dynamics with an instinctive feeling for the size of the hall would be welcome. It might be merciful on the audience to grade the dynamics. All halls are not Carnegie Hall although you might be forgiven for thinking so. I am clearly anachronistic and 'old-fashioned' in my wish for evidence in the playing of some cultural and stylistic context for the piece, a beautiful tone, refined touch, musical understanding and having something musical to say as well as poetry, charm, sensibility, love and above all the ability to move the heart. I am obviously entirely at variance with what the vast majority feel and want from piano 'stars' and players today - the instrument to be played as loud as possible, as fast as possible and as egocentrically and exhibitionistically as possible. Liszt has given such people a wonderful opportunity to betray him. Buniatishvili is outstandingly sensual, stylish, talented and dramatic in appearance at the instrument but...well, maturity will come. If I could play as well as this brilliant virtuoso I would probably play in exactly the same way and stretch my colourful wings. My mood and optimism having been altered by the above recital I am not sure I can judge my reactions accurately. Goerner is one of my favourite pianists for Chopin on early instruments and his recordings for 'The Real Chopin' series are justifiably praised to the heights. He opened with the Mozart Sonata in E flat major K.282. Although interesting structurally I found it rather slight and wondered why he chose it - certainly it was brought off with due reverence to stylistic considerations. He then embarked on one of my favourite works of romantic piano literature Kreisleriana Op. 16 by Schumann. In this great masterpiece he brought out much of the quixotic mercurial temperament of Schumann's personality and the literary elements of this series of 'fragments' (as the nineteenth called what we might refer to as 'miniatures'). Inspired by literature as ever - in this case E.T.A Hoffmann - Schumann dedicated the work to Chopin. The polyphonic nature of much of the piece might well indicate a deep understanding of Chopin's own style. Goerner was marvellous in some sections but adopted too fast a tempo (for me, for me) in others clouding the different voices and skating over detail. My reaction always coloured by Vladimir Horowitz who I consider unsurpassed in this work. Not fair to compare....I know. After yet another magnificent recital what doubt could possibly remain in anyone's mind that Adveeva was by far the most worthy winner of the International Chopin Competition in 2010. 'In a different league altogether' as someone commented to me after her recital at the recent Duszniki Zdrój festival. All of my comments made during the competition on this blog stand untouched. In fact I felt she had improved enormously even in the short ten months of international engagements since her win. Her upright contained posture at the instrument helps her create this wonderful sound. She is so utterly committed physically and intellectually to every note she plays it is deeply involving for the listener in the audience. This recital, as all of them, was absolutely prepared down to the final nuance. In all the greatest performances there is nothing left to say, simply to leave the hall in silence. In the Chopin group, the two Nocturnes Op. 62 were ravishing with superb control of touch, tone and pianissimo playing. The Scherzo in B minor Op. 20 was incandescent in its articulation, glittering tone and variety of dynamic, the central contrasting lyrical section so moving in its ardent yearning. I always feel that Chopin was contrasting the bustle and activity of normal life with that of his very own dream world in this piece. The four Mazurkas op. 33 were full of Polish indigenous rhythmic variety and subtleties. No: 4 in B minor was absolutely superb and the finest interpretation of it I have ever heard. Finally in the Chopin group, the Polonaise-Fantasie contained all the troubled emotion and desire for strength in the face of the multiple adversities that beset the composer at this late stage in his life. She grasped that difficult and complex structure completely - a profound interpretation to my mind. I felt this Polskie Radio performance superior to Duszniki for some reason – the musical unfurling of emotion somehow more coherent…crude words cannot describe Chopin’s music! However it was the Liszt that she continued to reign supreme for me. She chose three late Liszt works that are extraordinarily forward-looking in their adventurous harmony and invention. They were also written at a time when Liszt was facing the reality of death quite apart from its theatrical Gothic aspects which had so attracted him in his youthful Byronic phase. The La Lugubre Gondola II of 1885 is a profoundly disturbing and dark work reminding one that gondolas on the Venetian canals were likened by more than one Romantic poet to black coffins - even Mme de Staël discoursed on this dark subject. Liszt was fascinated by Venetian funerals and the coffins set on gondolas, the black ostrich feathers and the silent oarsmen on pellucid water. This work was composed by Liszt as a type of premonition of Richard Wagner’s death two months later in Venice in 1883. The piece eloquently evoked the future water-borne funeral procession by gondola of Richard Wagner body from Palazzo Vendramin to the railway station on its way for burial in Bayreuth. Avdeeva followed this with Liszt's Nuages gris of 1881 and she gazed into the heavens as if seeing the grey clouds hovering there, clouds without silver linings, her superb touch giving an impressionistic feel to the sound like a painting by Monet or a piece of Debussy. Liszt wrote this rather morbid work when suffering from various illnesses and accidents which impinged on his sense of continuing in life. The work anticipates the Viennese school of Mahler and Schoenberg and he clearly saw a way forward out of what many regarded as the prison of cadential resolutions. Avdeeva created an extraordinary atmosphere with this work. She then embarked on the Bagatelle without tonality (Waltz Mephisto IV) which to my mind are the melancholic reflections of an old man beset by reminiscences of his past life, compositions, echoes, shadows of his virtuosic past that haunt like grotesque spectres that flit about in this quite astonishing and deeply expressive work. The work ‘hovers on the brink of atonality’. 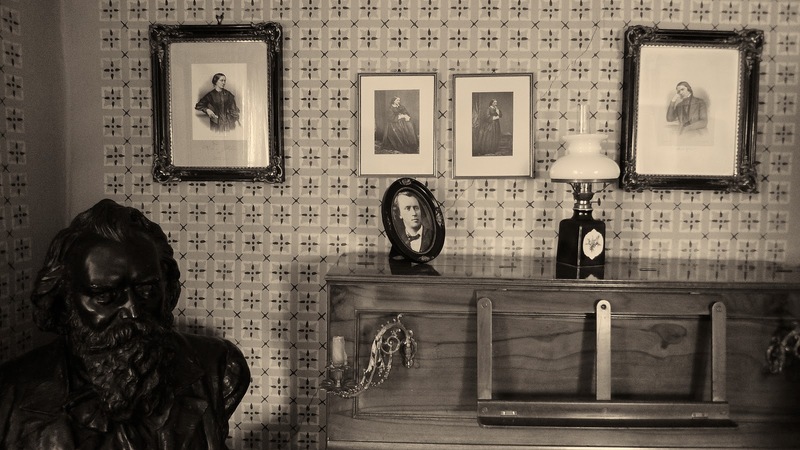 Hugo Mansfeldt, one of Liszt’s pupils from San Francisco, describes the occasion it was first performed at the Altenberg in Weimar, Liszt’s home. ‘He then went to the piano to play it [the fourth Mephisto Waltz ohne Tonart] for us [gathered together were the great pianist Moritz Rosenthal, Hugo Mansfeldt, the great pianist and composer Emil Sauer and A.v. Siloti]. When Liszt had finished it we all stood in respectful silence. I dare say none of us were very enthusiastic about the piece…Liszt turned to us and said: “Let’s play whist.” Two of us sat down and Liszt turned to me saying “Mansfeldt, take a hand.” I replied that I did not know the first thing about cards. Liszt then said to me “Then you can be a critic." Debussy in his music used some of the same harmonic techniques of suspended tonality. The work was so advanced that it was not actually published until 1956. Avdeeva was really able to penetrate these mysteries with her complete technique. This group of pieces and the way Avdeeva interpreted them gave me real cause to question my sometimes all too superficial judgement of the great composer and pianist Franz Liszt. Her recital concluded with by far the finest account of Liszt's transcription of Wagner's Overture to Tannhauser I have ever heard, a much earlier work. Her commanding technique enabled her to create a full orchestral sound with all its variety and clarity. She was able to terrace the melodic line wonderfully beneath the complex lacey filigree of ‘strings’ that play above it - astounding really and so exciting. For me the performance was more than a little moving having just returned from a pilgrimage to Weimar and Bayreuth investigating the complex friendship between Wagner and Liszt. A piece of ivy from Wagner’s grave is now growing strongly in a beautiful ceramic pot on my terrace in Warsaw. At the age of 14 this Overture was the first music that ever moved me to the authentic depths - I remember this moment as if it was yesterday. Avdeeva received a tremendous reception in the Polskie Radio concert hall. She played as an encore Tchaikovsky Méditation, Op.72 No.5. More frantic applause and then the Paderewski Krakowiak Fantasy followed by a Chopin Mazurka. To my mind this aristocratic player with her majestic, slightly severe profile and almost regal posture at the instrument, is a master of the control of emotional passion, its containment and expression - tensions and relaxations being the very breath of musical life. She is in the process of becoming a very great artist indeed and we are privileged to witness this growth. I greatly look forward to her concerto performance on an historical instrumant later in the week. The first item on the programme was the Mozart Violin Concerto No. 3 in G major. K 216. 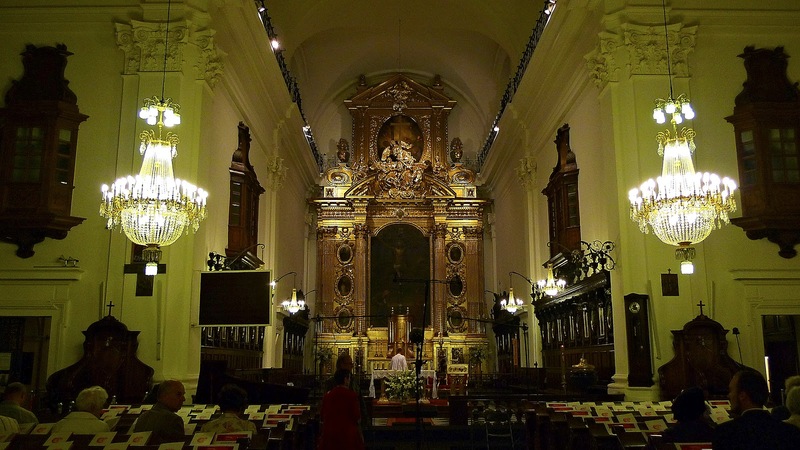 The Sinfonia Varsovia was conducted by Augustin Dumay. This famous French violinist is another unassailable icon of music - the last perhaps of a great past tradition of violin playing in the Grimaux mould. He has had one of the most eminent of careers and received wonderful notices. I am rather fond however of the more modern 'classical style', short phrased approach to the Mozart violin concertos and found his interpretation rather over 'Romantic' and sugar-sweetened with a great deal of vibrato and even a few portamenti. I have nothing against this way of seeing Mozart and going back in time can be very instructive. I have begun to listen again to the magnificent recordings of Karl Richter and the Munich Bach Orchestra with such large forces and also Adolf Busch and the Busch Chamber Players. What a shock to realise how differently we play Bach today! Some things the older players do is marvellous too and we can learn a great deal from historic recordings. Dumay then conducted the Mozart Symphony No.29 in A major K. 201. This symphony shows many developments in Mozart as he began to technically explore the cusp between the romantic and classical styles and the associated conflicting emotions. The Polish-Canadian Lisiecki chose to play Mozart's dramatic and yes 'Romantic', in fact almost mythical, Piano Concerto No. 20 in D Minor K. 466. In the work there is quite a struggle between soloist and orchestra (a 'romantic' trop if ever there was one) and Lisiecki managed this passionate dialogue extremely well. The nineteenth century thought this often performed concerto 'daemonic' and the tragic element was maintained by conductor and soloist until the end. The whole reminded me more of a symphony with piano as it pushes the classical form to the limits. Lisiecki showed us he is a born Mozartian. Great depth of feeling was evident in this ground-breaking work that gave piano concertos (and the far smaller instruments they were written for) acceptance on a par with the classical symphony. What a wonderful flowering talent is laid before us here. He has a wonderful sound, seductive touch and instinctively tailors his dynamic range to the size of the hall. How rare these days. As an encore he gave probably the finest performance of the Chopin Waltz in C# Minor op. 64 No: 2 I have ever heard. At my age I must have heard and played this piece a million times but I was so moved – absolutely wonderful – perfectly simple, elegant, refined and ‘classical’ (no tricky internal voices emphasised or sentimentalisation), a glowing tone, perfect dynamic range, velvet touch….it had everything Chopin requires and more. Some enthusiasm - no standing ovation although his performance certainly justified it even if the conducting by Augustin Dumay was precise in direction but rather eccentric and entertaining to watch and for me a musically rather old-fashioned Mozart. It really doesn't matter what 'style' you perform in I suppose if you recognize true music is being made - something which can never be in doubt when it actually happens. This sensitive and charismatic young Italian pianist gave a near perfect performance of the Chopin E minor Concerto Op. 11 with the marvellous Sinfonia Varsovia under Jacek Kaspszyk. For me everything seemed to be in its right place - the joy of youth, the assertive self-confidence of the Allegro maestoso, the feeling in the Romance. Larghetto movement that in young love like Juliet in Shakespeare 'Good night, goodnight. Parting is such sweet sorrow, That I shall say good night till it be morrow.' and the final unaffected joy expressed in the Rondo. Vivace. I really could not fault this reading in any way and am more than ever convinced this youthful styl brillant work of Chopin's youth (he was such a joyful young man) is played best by pianists of his own age when he composed it (20). She has a refined tone and touch which never broke through the ceiling of the instrument and natural musical phrasing that was always affecting in its nuanced expression. Music seems to flow from her in a completely natural and unforced way - being Italian she understands bel canto singing well and maintaining a cantabile legato which is so important in this concerto. She received a rapturous reception as she was one of the strongest audience favourites in the 2010 Chopin Competition here in Warsaw. As an encore she played the Chopin Tarantella with the same spirit and verve she showed in Duszniki. Trifonov also gave this as an encore piece in Duszniki with a similar youthful spirit and abandonment - even a few smudged notes in his joy to play! What a contrast with Armellini in the second half! Listening to Khatia Buniatishvili play arguably the greatest of all Romantic piano concertos is rather like drinking a great wine like Chateau Latour far too early in its life – all the component parts have not yet come together in a harmonious whole. There were brilliant aspects but maturity over time is necessary before such a monumental and complex work can be fully mastered and presented musically. Brahms was a mature 48 when he wrote the concerto - a huge piece of musical architecture that must fit together cohesively - and an accomplished symphonist having written his first and second symphonies. Having 'learnt' this work Buniatishvili now has the notes fairly well in her fingers (a great achievement in itself). It is terribly important she gains experience playing it before an audience with an orchestra as fine as the Sinfonia Varsovia. Her musical ambitions are clearly incandescent just at present. Look, if I was as young and beautiful as this sensual Georgian girl, had as much cascading hair and could play the piano in this darkly dramatic, passionately intense virtuosic manner, I too would fall into the same trap of ‘giving it the maximum’ too much of the time just as she does now. When I began writing books I was intolerant, an arrogant creature and wanted to show off all my powers – all young people of talent want to do this. Nothing wrong in it at all. Vanity and self-confidence, but above all a charismatic personality are indispensible qualities if you wish to achieve something in this life of increasingly fierce musical competition and the adoration of image over substance. In music, and in particular piano playing, the competition must be frightful. Making a mark today requires something very special and flamboyant indeed in one’s character and she has done that. In my late teens I thought would be the second James Joyce. Well, now I am rather older, wiser, grumpier and living in Warsaw and have a much clearer idea of my actual capacities and am still learning where they need to be disciplined. As a young pianist there is tremendous personal physical exhilaration (for her) in playing like Buniatishvili can and does. Her jazz singer dress sense has quite an impact at least on the males in the audience. However there seems little point in me bringing detailed critical apparatus to this performance when I have seen and heard the greatest pianists in the world play this work – and they have all recorded it with the greatest orchestras and conductors – Gilels, Richter, Arrau, Rubinstein, Horowitz, Serkin….the list goes on and on. It is not fair to compare this charismatic blossoming talent from Georgia to such mature artists. Perhaps she will mature into greatness given time and a degree of objective self-criticism. One must listen to oneself and analyse what one is actually doing with the sound one is producing. Who am I to argue with the protégées of Martha Argerich? Merely an Australian literary travel author who has achieved modest success in literature and loves music to distraction. I studied the piano and harpsichord seriously in London for many years but simply lacked the talent or ruthlessness for a career. However the study taught me to be a good listener (I hope) and that is really invaluable although not pleasant sometimes for my friends who accompany me to concerts. Suffice to say I thought at present the work was interpretatively quite beyond her. The extreme tempos meant so much polyphonic internal detail was lost and Brahms 'imprssionist' use of tone colour and layered chordal structure entirely lost. More speed does not express more passion - often quite the opposite. I felt she has little sympathy or any understanding of the psyche and musical spirit of Brahms as she occasionally does with Liszt. The performance was clearly and probably unavoidably, through time considerations, under-rehearsed and I am not even sure that Sinfonia Varsovia and Jacek Kaspszyk, despite being very fine musicians, were deeply familiar with the work either. On various occasions, to paraphrase the Irish poet Yeats, ‘Things fell apart; the centre could not hold’. Wild scenes and a standing ovation - it seems this is becoming quite a popular activity in Warsaw but shows little musical discrimination by the audience. Does it really matter? Probably not - certainly not to the artists who need the approbation after all the work - like life blood to them. The Chopin Prelude in E minor as a lacklustre encore seemed small change in the Polish hand. 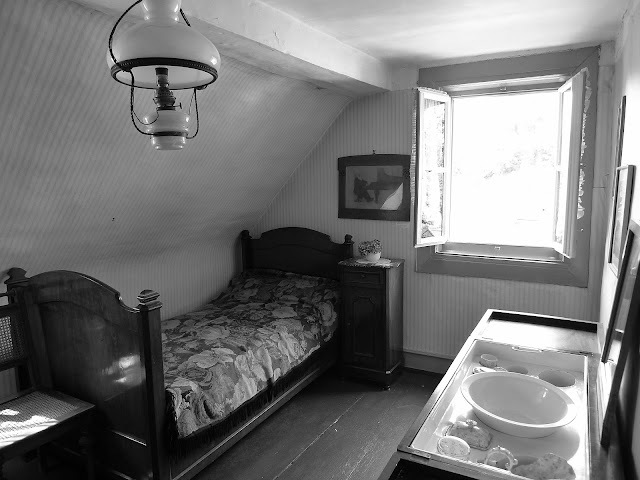 The Brahms House in Baden Baden visited on my recent research trip. It is the only original dwelling that survives associated with the composer. During her concert tours Clara Schumann discovered this beautiful resort and her presence drew him to this rented two-room accommodation in Lichtental. He lived here during the summer months from 1865-1874 and completed large parts of the Deutsches Requiem here and the First Symphony, the draft of the Second Symphony as well as many chamber works. 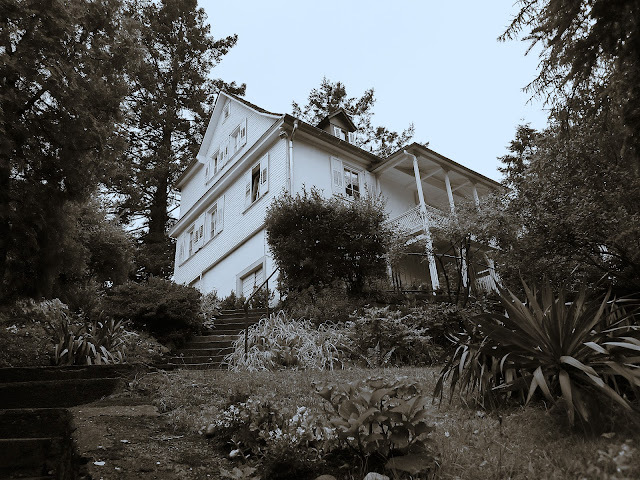 Composers and students may stay here to absorb the atmosphere and vibrations, work and study during the summer months. I was unable to attend the recitals of Pawel Wakarecy and Janina Fialkowska as I was attending a wedding outdside Warsaw. If you know anything about Polish weddings you will realise why it involved two full days and the fact I am only now recovering. Much gorale music and singing. I was terribly disappointed to miss the recital by Janina Fialkowska. She belongs to the 'Great Tradition' of late nineteenth century, early twentieth century performance. She is deeply musical, a great soul and a great artist as well as being a tremendously courageous human being. I met her in Duszniki a few years ago and we discussed music at length while walking beside the bubbling mountain stream that runs through the town. For me she is a great interpreter of Liszt and Chopin. Try to buy some of her recordings and you will understand what I mean. I also missed the chamber music concert on Sunday night which sounded fun and was made up of works by Mozart and rarely if ever heard works by Polish composers. This eminent and distinguished pianist began his career winning the 1975 Leeds Piano Competition and now lives in London and teaches at the Royal College of Music in London. I lived in London a stone’s throw from the Wigmore Hall for thirty years before coming to Warsaw in 2004 and attended many of his recitals. This may appear naive but for me he does not play in the clichéd manner of ‘a Russian pianist’ – tremendous tone and bravura - but has a truly poetic and elegant approach to his interpretations. I felt in this recital we were taken into various different dream worlds of the nineteenth century inhabited by different creatures of varying temperaments. At first we explored the mercurial world of Schumann and his whimsical fluctuating nature. Blumenstück Op. 19 opened the recital. This was written during at the conclusion of a lyrical compositional period when the composer was a young man of 26 and discovering and exploring the powers of his musical imagination. It is often associated with the popular Arabeske in C Op. 18. The piece depicts various flowers associated with the nature of love and is a much underestimated brief composition of sweet and charming interrelated episodes and variations. Schumann himself did not have a particularly high opinion of it (‘for the Viennese ladies’) but his wife, the concert pianist and composer Clara Wieck, thought it one of his finest pieces and often included it in her concert programmes. Alexeev gave a beautifully simple and graceful performance with fine tone and a cantabile that almost turned it into a song. His nuance and expressive rubato was much in evidence together with what one might term ‘the feel of experience’ in allowing harmonic progressions to breathe, something youthful vigour too often forgets. The perfect cat - but I think too sweet to be a Kater Murr - a 'Growler' - in a window of a dilapidated house in Ladek Zrdoj near Duszniki Zdroj, Lower Silesia, Poland. Alexeev then embarked on one of Schumann’s greatest piano works, Kriesleriana. Madness or insanity was a notion that throughout his time on earth simultaneously attracted and repelled Schumann. At the end of his life he was cruelly to fall victim to it. Kriesleriana was presented publicly as eight sketches of the fictional character Kapellmeister Kreisler a rather crazy conductor-composer who was a literary figure created by the marvellous German Romantic writer E.T.A. Hoffman. 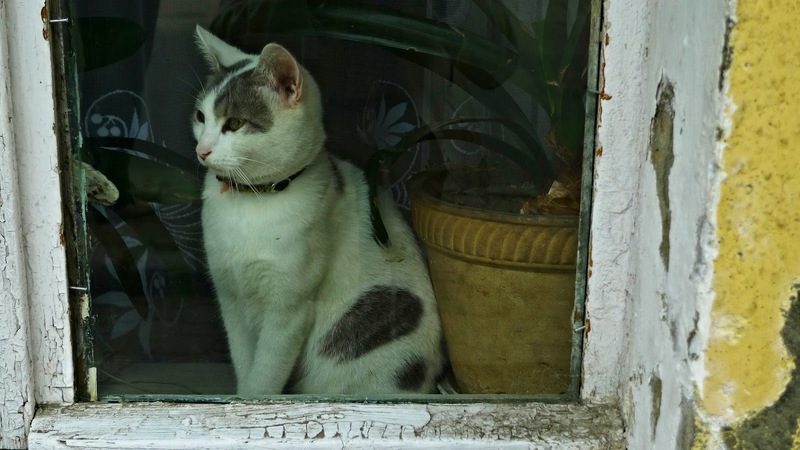 The piece is actually based on the form of a marvellously inventive grotesque satirical novel Hoffmann wrote called Growler the Cat’s Philosophy of Life Together with Fragments of the Biography of Kapellmeister Johannes Kreisler from Random Sheets of the Printer’s Waste. The fictional author of this novel Kater Murr (Growler the Cat) is actually a caricature of the German petit bourgeois class. In a theme rather appropriate in our times of gross financial inequalities, Growler advises the reader how to become a ‘fat cat’. This advice is interrupted by fragments of Kreisler’s impassioned biography. The bizarre explanation for this is that Growler tore up a copy of Kreisler’s biography to use as rough note paper and when he sent the manuscript of his own book to the printers, the two got inexplicably mixed up when the book was published. An excellent wheeze Mr. Hoffmann! Such devices remind me of Laurence Sterne in that great experimental novel Tristram Shandy. Schumann was attracted to composing a work in ‘fragmented’ form in the structural manner of this novel, the use of the device of interrelated ‘fragments’ being beloved of the Romantic Movement in poetry, prose and music. Kreisler is a type of Doppelgänger for Schumann and the episodes in the piece describing his emotional passions, his creative art and his tortured soul alternate with lyrical love passages expressing the composer’s love for Clara Wieck. He used and transformed one of her musical themes in the work. It is a very difficult work to present as a coherent structure and Alexeev succeeded in making the thorny transitions form wildness to lyrical love dream with consummate skill and moving poetry. The extreme shifting of moods in this Schumann piece were captured through his appropriately controlled tempo and dynamic which allowed the polyphonic nature of the various pieces to emerge. At the conclusion, in a beautiful fading pianissimo he allowed the drama to leave the stage and to simply dissolve into the mists of the forest like a phantom or spectre. Schumann advised Clara not to play the work too often as the passions aroused and nostalgia would be too strong to bear. After the interval I expected to hear Balakirev’s arrangement of Glinka’s The Lark indicated in the programme. Did Alexeev play this? If he did I must have been asleep or thinking of another piece! Oh dear. I thought this one of the most atmospheric parts of the recital and ravishing in terms of the tone quality and inspiring improvisational approach he brought to the ‘performance’ if you could use such a restrictive term. It was not as if Alexeev was ‘performing’ a notated piece of music at all – he was improvising or creating this sound world for us - it was as if we were in some type of enchanted sensual world of Huysmans, overpowering perfumes, hints of an exotic world beyond the velvet of which we know nothing, seduced into opulent rooms unresisting. His liquid touch and kaleidoscopic colour palette was absolutely extraordinary. Scriabin associated colours with keys and one could hear or even see this. He chose to begin with the rarely heard four Preludes from Op. 22. The Quasi-waltz in F major Op. 47 was not familiar to me but an fine title to deal with the unfamiliar. This was followed by 2 Poèmes op.69 – the febrile, neurasthenic character was captured so well and was existentially unsettling. One was reminded throughout of the fleeting visionary brevity of Chopin’s Preludes. Finally Etudes No: 4 in F sharp major (late night in a smokey jazz club in New York with Bogart and Bacall) and No: 5 in C sharp minor (the passionate rhapsodic nature of this work always reduces me to quivering emotional wreck). He loved the rough violin and open-throated folk music of Mazovia and was an excellent dancer, often playing the piano into the small hours at parties for the whirling couples, flowers resplendent on their folk costumes, performing the Mazur. This was one reason he had to go into ‘rehab’ at Duszniki Zdrój suffering from physical exhaustion (not consumption at that time). The young Chopin was a bit of a 'party animal' and immensely popular on the aristocratic party circuit in the Warsaw of the 1820s. The mazurkas in particular, with their mobile rhythms of Polish folk music – the notorious tempo rubato – are the unique outcome of an artistic sublimation of the music of his beloved Mazovian countryside. But even more importantly for Chopin interpretation, his mazurkas and waltzes are a reflection of the urban dancing tastes of the Warsaw of his youth. Warsaw was besotted with the ‘Mazurka Mania’ that took hold of society at that time. The polonaise, mazurek and waltz dominated the passion for ballroom dancing. Some in Poland criticised Chopin for sentimentalising the mazurka, even causing it to be ‘crucified’ in the common world. But hundreds of composers were writing thousands of mazurkas in the nineteenth century. Despite what many think however, a few of Chopin’s waltzes and mazurkas were danced in Warsaw while he was living in Paris (according to information from his sisters letters to him). Some were fancifully considered by his biographer Marceli Antoni Szulc, (in comparison with those of Chopin) to be as ‘a dirty oil wick to the solar disc.’ Wonderful hyperbole. Alexeev did not approach this group of mazurkas as energetic dances Chopin wrote inspired by memory. They are often played ‘healthily’ here in Poland in what might be considered the 'Polish style'. Is there any other approach to this exclusivity and nationalist possessiveness? Alexeev convinced me there are other viable alternatives. He chose his selection carefully. He played them rather as dreams of the past, nostalgic phantoms recalled at night through the prism of reminiscence. Fading memories of his life as a happy youth in Poland. This way of reading the mazurkas was so beautiful and unexpected and deftly removed all the rather foolish discussion I hear about whether anyone other than Polish pianists can really play a mazurka. The recital by this mature, 'finished' artist who allows music to breathe and reveal its inner detail (such a welcome change from headstrong and unbridled youth) concluded with a spirited rendering of the Chopin A flat major Polonaise. Encores by Rachmaninoff and Horowitz’s favourite Scriabin encore, the magnificent Etude Op. 8 No: 12. The concert began with Schubert's charming Symphony No: 3 in D major D. 200. So full of Viennese gemutlich, folk dances, student songs and marked absence of the shadow of death which hovers about so much of Schubert's writing. Wonderfully undemanding on the ear and mind. Then a rarity. The Piano Concerto in E major (1830) by the Polish composer Jozef Krogulski (1815-1842). He was a true Wunderkind and genius of composition who died tragically young of consumption. This decorative work was clearly written in the styl brilliant so popular at the time and inspired in many ways by the brilliant Hummel. Howard Shelley gave a fine, accomplished reading of it from the piano, music before him, turning pages and conducting all at the same time. 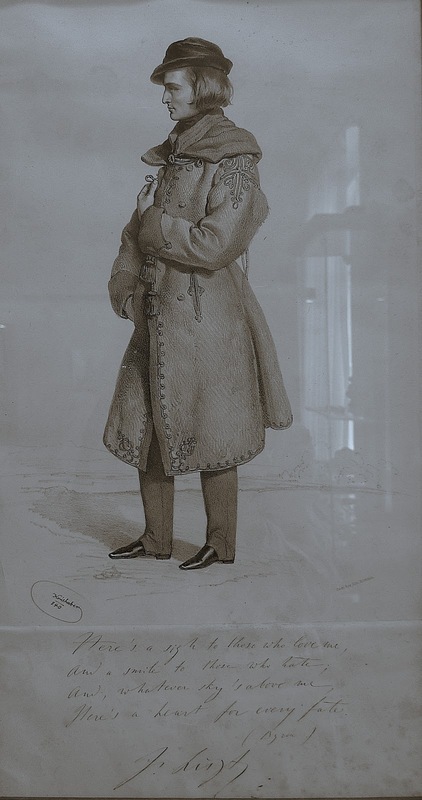 The premiere in Warsaw at the Grand Theatre in December 1830 by the fifteen year old Kogulski playing his own rather long composition must have caused quite a stir. I found it rather too 'tinkly-winkly' in the upper register of the instrument for my taste with so many repeated phrases I lost count of them. I would never have compared the boy to a young Polish Mozart or Polish Liszt (as he was) even on this prodigious feat of youthful genius. Utterly brilliant for his age of course. Franciszek Lessel and Feliks Dobrzynski wrote far finer concertos. These have just been released on a really lovely new CD in the Chopin Institute's new 'Music of Chopin's Time' Series with Howard Shelley and the Sinfonia Varsovia. NIFCCD 101. 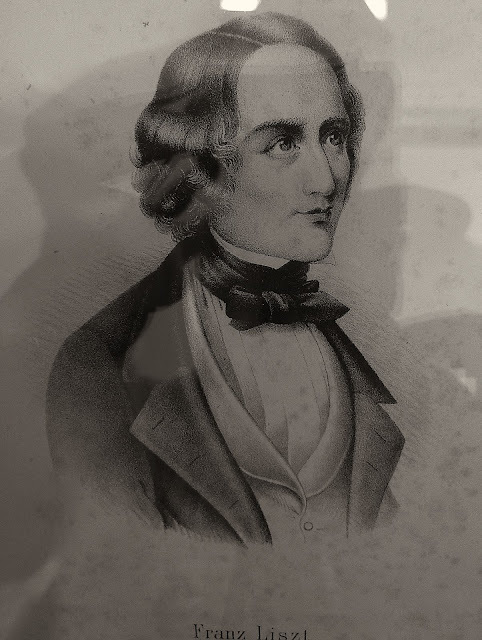 An engraving of the young Liszt I photographed at the Liszt Museum, Bayreuth. Remind you of anyone? As everyone knows, the final work on the programme, Chopin's F minor Op.21 Piano Concerto, was actually written before the E minor and in a mood somewhat more 'classical' and with possibly more of the styl brillant in evidence than the E minor. Daniil Trifonov has when required has an extreme delicacy of touch, underplays luminously (what a relief) and an improvisatory quality to his playing as if music was being created as he played - which it is of course. He possesses superb control of touch, tone and is a deeply musical personality. In the Larghetto his eloquent 'singing cantabile' was very moving. His voice is authentically individual, his Chopin fioraturas have the delicate strength of Bruxelles lace. The noble opening Maestoso first movement possessed great energy and a lustrous cantabile of the most refined feeling one could imagine. Again I felt he is a particularly sensitive pianist reminiscent on occasion of Dinu Lipatti. Trifonov harnesses his virtuoso technique to achieve moments of extreme delicacy of touch and tone heightened by his glorious phrasing and affecting rubato. His effects have all the finesse and the poetry reported of Chopin himself at the keyboard. He maintained good ensemble and entered his own adolescent dream world taking us with him. Chopin was considered the 'Ariel of pianists' (the disembodied spirit character in Shakespeare's The Tempest). Sometimes I felt this pianist close to a spirit of nature. Trifonov is transformed by music, possessed by it completely the moment he sits at the instrument. Is it too fanciful to say he actually appears to become a medium for the music? He communicates the ultimate in musical integrity and intimacy with his audience - a gift or conviction that escapes so many pianists. The Allegro vivace was just that, a brilliant, lively and energetic dance. He varied the tempo convincingly with great joy and concluded it up tempo with tremendous youthful exuberance and élan, utilising his full formidable technical resources. Notes cascaded like a waterfall reminiscent of such past masters as Hofmann, Godowsky and Rosenthal. But he maintains his own unique voice. For me this performance expressed a perfect understanding of what a musicologist might term 'the Chopin aesthetic’. Chopin’s best pupil Princess Marcelina Czartoryska advised the performer to intuitively immerse himself ‘au climat de Chopin’. Trifonov does this with a similar refinement and aristocratic phrasing to reports of the composer’s playing. In modern interpretations and pianism there seems to be a movement to eclipse or at least diminish the 'feminine' aspect of the soul from Chopin. This is absurd and impoverishing and comes from our current preoccupation with the physical and crudely 'powerful' in life, the clichéd view of 'masculinity', the 'macho' male. Chopin was one of those rare individuals who managed to balance his masculine and feminine natures - a quality ever present in his music and something Trifonov seems to be profoundly aware of. Tremendous reception and many encores - Liszt's arrangement of Schubert's The Trout and two Etudes from Chopin's op. 25 set. On 28th October 1853 Robert Schumann wrote of Brahms “Here is man of destiny! Seated at the piano he began to disclose wondrous things.” Within a year Brahms’s new friend had lost his reason and attempted suicide by throwing himself into the Rhine. Brahms reaction to soul-crippling grief at the news was to begin composing a large sonata for two pianos. Soon he slowly began to realise this was actually a ‘symphony in disguise’. His reworking of the sonata eventually became the first Piano Concerto in D minor op. 15. It took him some five years to complete. The premiere (1859) at the Gewandhaus in Leipzig and subsequent performances were not a success – quite the opposite in fact – the music critic Bernsdorf said the work was ‘utterly beyond hope...retching and rummaging, this straining and tugging, this tearing and patching…’ Yes, it was revolutionary work for the time. Schumann had said that the piano would be too limited a medium for Brahms vast conceptions. He was right as ever. The composer completed a monumental conception in this concerto that confused almost everyone. The artists assembled for this performance in Warsaw were indeed a select group of the finest musicians in Europe. The soloist Alexei Lubimov is renowned as a pianist and harpsichordist who has a consuming passion for playing period instruments and has a large collection. He actually introduced baroque instruments into the Moscow Conservatoire when musicians, owing to political and ideological walls of one sort or another, had been separated from the great Early Music Renaissance which took place in England, Austria and the Netherlands in the 1960s and early 1970s. I remember them as great days of fierce excitement and it was then I bought my first harpsichord at ruinous expense. Lubimov is also a champion of the most modern music such as works by Stockhausen (an increasingly neglected genius since his death) Boulez, Ives, Cage and Ligeti. He has performed with every modern orchestra and conductor of note. The Orchestra of the Age of Enlightenment scarcely needs an introduction as one of the finest English orchestras. In having the Russian conductor Vladimir Jurowski in Warsaw we were indeed privileged. This great musician is an outstanding opera conductor and is the Music Director of the fabulous Glyndebourne Festival Opera, Principal Conductor of the London Philharmonic Orchestra and guest conductor of the Russian National Orchestra and Berlin Philharmonic. And I was about to hear him conduct Liszt’s Faust Symphony which he had given at the London Proms just a short time before! For this first half of the concert Lubimov played a Steinway of c. 1875 which he commented in an interview on Dwojka (Radio 2) was not ideal for this work of Brahms. The composer himself was vastly more interested in early music than one might imagine and actually edited an edition of the music of Francois Couperin – a very unlikely project I think for this man who utilised such massive orchestral forces. 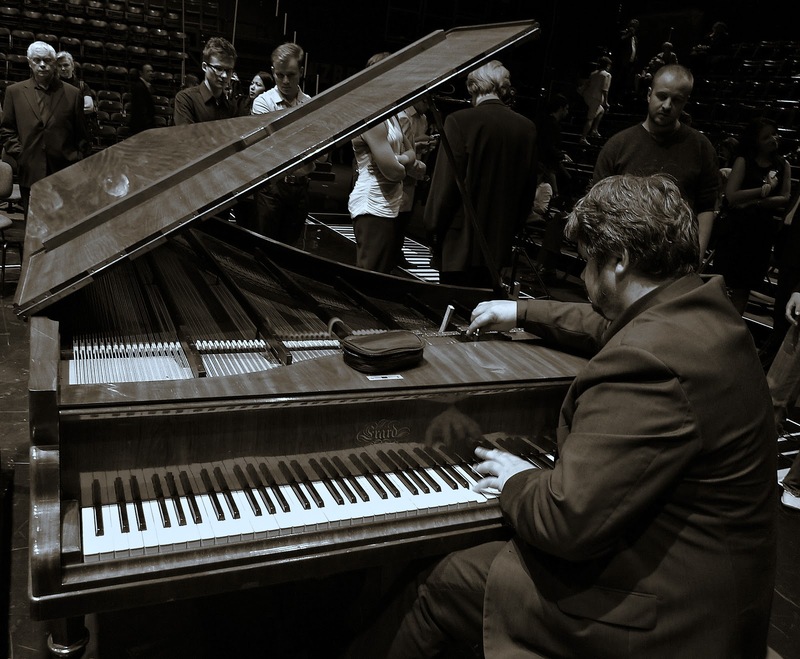 Brahms in fact specified a Steinway Centennial D instrument (similar to the instrument used in this performance) for the premiere of the concerto with himself as soloist and his friend Joseph Joachim conducting the Gewandhaus orchestra. I do not particularly want to write in the following fashion but feel I must if I am to remain honest in my feelings and honest towards my readers. I realise there are serious practical considerations of organisation and venues with the Chopin i jego Europa festival and it is a miracle Mr. Leszczyński can mount this festival at all at this level of quality. However once again I felt the scandalous lack of a decent modern concert hall in Warsaw when we are fortunate enough to have attracted artists to the city of the very highest calibre. 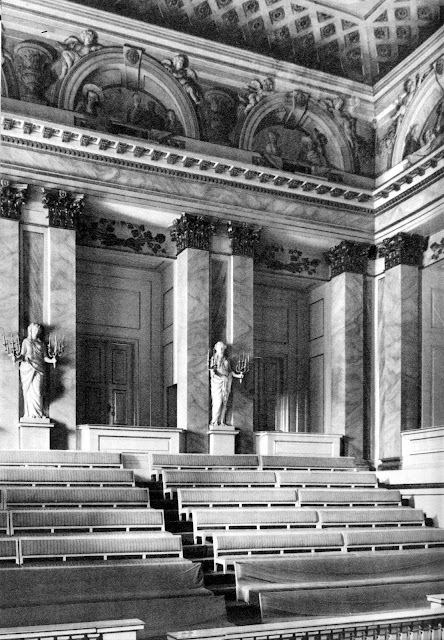 As the Filharmonia was ‘not available’ the musicians were again seated on the ‘Grand Stage of the Polish National Opera’. Sounds impressive does it not, sure does, but in reality despite its chic industrial minimalist ambience and chic divided audience seating ‘in the round’ on back-breaking pic-nic chairs, the sound simply disappears into the vast cavernous space of the fly tower tens of metres above us happily joining the music of the spheres. 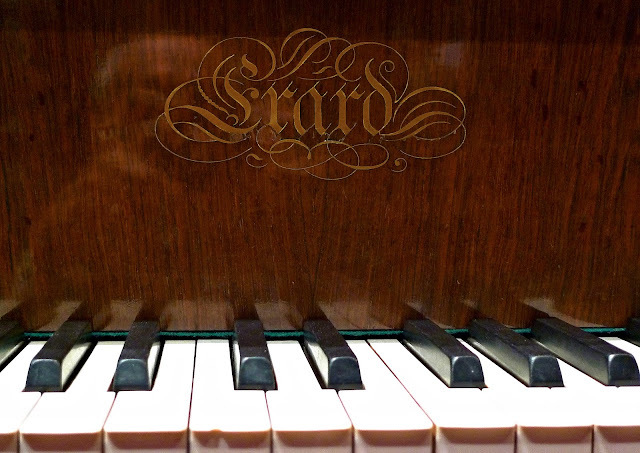 With period orchestral instruments, especially pianos, the effect is a serious emasculation of the sound. If you are fortunate enough to be seated in Sektor A in front of the orchestra and soloist (along with the more select members of the audience) it is not too bad I suppose. However anyone seated in Sektor B or Sektor C is at a cruel disadvantage with much diminished piano sound and unbalanced orchestral sound. ‘I am in Sektor A’ various people said to me with enormous pride. Great for them but it is not a constructive remark or democratic. I was in Sektor A for this concert as it turned out but for Avdeeva I was lost in Sektor B hence my remarks. The piano lid was open on this occasion but attached to the instrument – in previous festivals it was removed completely. I have no idea of the difference in sound projection but the lid certainly excludes large numbers of the audience from hearing the instrument properly and possibly some members of the brass and woodwind section of the orchestra seated at the rear. I will not repeat what I have said at length earlier in this post about the crying need for a proper concert hall in Warsaw…I suppose financial rationalisations, committees, reports, tenders and Byzantine political ‘explanations as to why not’ à la Polonaise will go on till the crack of doom. Lubimov approached this formidably difficult piece with great élan. The restoration of the proper balance of sound between the soloist and orchestra was clear from the outset – something that is wonderful about using early pianos in concerti. They preserve the original structural intentions of the composer in terms of sound balance. I had never thought much about the use of authentic instruments in Brahms but certainly the long Maestoso first movement was well integrated and the piano absorbed as an integral part of the symphonic structure. Jurowski was spirited in his tempos, broad, passionate and inspired and it was clear the orchestra love playing under him. This unfortunate acoustic diminishes the bass of an early instrument dramatically and Lubimov had to pound a bit to be heard in the tutti writing. The extremely heartfelt Adagio was much more successful - the instrument with this pianist produced a beautiful tone and touch with a great deal of poetry, almost religious feeling and profound melancholy (felt by Brahms at the onset of insanity for Schumann). Earlier instruments do shine in piano and pianissimo passages but less successfully in this acoustic in the forte and fortissimo passages where they simply clatter under the stress. The final Andante con moto was full of infectious dance rhythms and the fugato brilliantly managed by Jurowski and Lubimov. A fine performance and a great achievement. The above reservations have nothing at all to do with the superb playing. After the interval, the Liszt Faust Symphony did not disappoint – it was a fantastic and brilliant reading even without the final Chorus Mysticus for tenor and male choir. A magnificent account which left me as limp as a wet rag. The gestation of this symphony is of particular interest for English listeners. Of course it is the great masterpiece from Liszt’s Weimar period (if you love Liszt and recognise his immense influence on Western music you simply must visit Weimar before the end of the year). Berlioz had introduced Liszt to Goethe’s great poem Faust around 1830 and of course Weimar itself is soaked in memories of Goethe and Schiller. For Liszt, the character of Faust seemed to haunt the town at every turn of the cobbled streets. But he was paralysed by compositional indecision when confronted with Schumann’s Scenes from Faust and Berlioz Damnation of Faust quite apart from the great poem itself. He wrote to Princess Carolyne: ‘Anything connected with Goethe is dangerous for me to handle.’ It was not until the arrival in Weimar of the great Victorian English novelist George Eliot (real name Marian Evans) with her lover and companion George Henry Lewes in August 1854 that Liszt was galvanised into a frenzy of composition. Lewes was writing a biography of Goethe and was visiting the Weimar to do research. They visited Liszt at the Altenburg on a number of occasions discussing Goethe and his position in German literature. This was when Liszt began this great work and completed it at white heat between August and October 1854 - a mere two months! The full title is A Faust Symphony in Three Character Sketches after Goethe: (1) Faust, (2) Gretchen, (3) Mephistopheles. This was a very early attempt to portray the inner psychology of the three main characters in the Goethe poem in pure music. Wagner of course expanded this idea enormously in his later operas. Liszt presents Faust first as magician and thinker in a ‘theme’ which is an extraordinary historical precursor to Schoenberg’s twelve-tone row. Faust then ponders without direction until the ‘Passion’ motif which many musicologists feel was the ‘Faust’ chord ‘appropriated’ by Wagner and transformed into the immortal ‘Tristan’ chord. ‘This is not the first time that Liszt cheated history by stealing from the future of music.’ (Alan Walker Franz Liszt: Volume II The Weimar Years 1848-1861 P.331). A fantastic trumpet theme presents Faust as hero. The Gretchen movement was extremely beautiful and is considered ‘flawless’ as a composition, one of the finest nineteenth century works for orchestra. Liszt scored this lyrical heart-breaking music as if for small chamber groups within the orchestra. The orchestral players were able to show their deep musicality almost as soloists. Jurowski was very fine in this. The final Mephistopheles character is presented not through new themes but through angular and at times frightening distortions and ghastly mutations of Faust’s own music – an inspired idea of Liszt - for me the insidious hints of the Mephisto Waltz No: 1 lie here too. Jurowski and the orchestra managed this mocking and devilish parody quite brilliantly as Faust is drawn further and further into the circles of Hell. Gretchen remains untouched, her theme intact, unsullied. The Chorus Mysticus for tenor and male choir which concludes the symphony was omitted which was a great shame as the work concludes with the Redemption by the Eternal Feminine in Goethe’s words: Das Ewig-Weibliche, Zieht uns hinan (The Woman-soul leads us Upward and on). A brilliant, deeply moving and thrilling account of Liszt’s masterpiece by the Orchestra of the Age of Enlightenment under Vladimir Jurowski. This work is only now receiving the recognition it deserves. If you were not there, you really missed something I am afraid…I stumbled out into the night in another world altogether to this one. I am afraid this concert came as somewhat of a disappointment to me, one of the very few in this festival. The main problem for me in both Chopin concertos was that seated in Sektor B I simply could not hear the piano properly and was sitting directly behind the violin and bass section who dominated the sound spectrum for me personally. The rest of the orchestral sound appeared ‘distant’. Avdeeva adopted quite a different stance at the instrument to her normal posture, seated at an inward angle to the orchestra. During both concerti she tried to engage in a real dialogue of eyes, sound and gesture with various sections of the players. On occasion she even attempted to conduct them herself. As there was a conductor on the podium this set up a certain three-way tension which was not really ideal. I think (but how can I really know) that Avdeeva may have felt that the players at the back of the orchestra (horns and woodwind) may not have heard her entries clearly enough and so indicated them with a head and sometimes hand gesture. I must say these ‘duos’ or dialogue say with horn or solo woodwind came off superbly. Her solo sections in the two Larghettos were as ravishing and heart-felt as usual (you already know how I love her playing). The Erard lived up to its promise in piano and pianissimo passages. Much in these slow movements is solo playing and you could hear the instrument and its refined, elegant tone properly. But in the virtuoso tutti outer movements of both concertos I simply could not hear sufficiently what Avdeeva was doing in detail above the orchestral sound to form any useful judgement. Certainly she seemed to be handling the instrument remarkably well and with her usual total commitment to the music - body, soul and mind. I cannot say the same for Jacek Kaspszyk unfortunately. He seemed on this particular evening, from my point of view, to have little real musical communication with the orchestra and adopted too big a beat – long late-romantic rhapsodic lines and slowish tempo do not suit these concertos written in the bubbling, energetic and joyful styl brilliant of the period of Hummel. Stylistically it was the completely wrong approach - well for me anyway. Being a famous and much respected Polish operatic conductor I thought Chopin would have been second nature to him. However he spent much of the time looking into the score and only fitfully engaging in eye contact with the players – all rather strange. Avdeeva seemed somewhat frustrated, distracted by external matters, her passion held back but that may have been in my imagination I suppose. The orchestral players themselves did not play either of these concertos with the authority and commitment that would indicate a properly detailed knowledge of the score. The performance seemed quite under-rehearsed. The performance was almost completely lacking in ideas and interpretative detail. It was rather like an excellent champagne that had gone flat the morning after the party. Still quite good but troubled by lack of any sparkle or sustained interest. This coupled with the ethereal piano sounds from my unfortunate listening post made for an unsatisfactory evening altogether – one I had been looking forward to with the greatest anticipation. The Festival Director Mr. Leszczyński has done such an immense and persuasive amount to change people’s ideas of period pianos with all the wonderful Fryderyk Chopin Institute ‘Real Chopin’ recordings with fine artists and many, many concerts over the years. But these instruments must be played in the right context, setting and acoustic for them to show their superb qualities. People seated in Sektor A will probably not understand my opinion of this concert at all….but you just try another position next time round and listen. What an extraordinary manner in which to end a music festival and what inspiration lies here. The venue for the concert was the beautiful and historic baroque Kościół św. Krzyża (Church of the Holy Cross) in Warsaw. It was built between 1679 and 1696 by Giuseppe Simone Bellotti. There are a large number of monuments to famous Poles here including the novelist Bolesław Prus, General Władisław Sikorski but above all, on the first pier on the left, a portrait bust of Fryderyk Chopin and an urn containing his heart brought back to Poland by his sister Ludwika. The concert was dedicated to the victims of the recent Japanese earthquake. The first piece to ring out from the organ loft through this magnificent space was Toru Takemitsu’s Paths in Memoriam Witold Lutosławski (1994) for solo trumpet. Takemitsu met ‘Luto’ in Warsaw in 1992 and never forgot the experience. The work is intended to depict a listener wandering along meandering garden path. An arresting seemingly aleatoric fanfare with echo ‘answer effects’ from the trumpet with mute – created a reminiscence of the cornet Hejnał interrupted by the Tatar arrow and sudden death of the player that sounds from the tower of the Mariacki Church over the city of Kraków on the hour. Then a piano piece entitled The Rain-Tree Sketch (1982) which was rather like a musical Haiku depicting a tree that collects water in its leaves until the drops fall to the ground. Influenced by the music of the magnificent composer Olivier Messiaen. Franz Liszt arrived in Rome in September 1878 and took up residence in the Villa d’Este. He lived a simple life here rising with the lark, attending mass at the church at Tivoli and then composition. It was here shortly after arrival that he heard news of the death of his close friend Baron Antal Augusz – he wrote that they were ‘of one heart’. One outcome of his grief was the extraordinary sound world he created of the Via crucis, les 14 stations de la croix which I heard for the first time tonight. 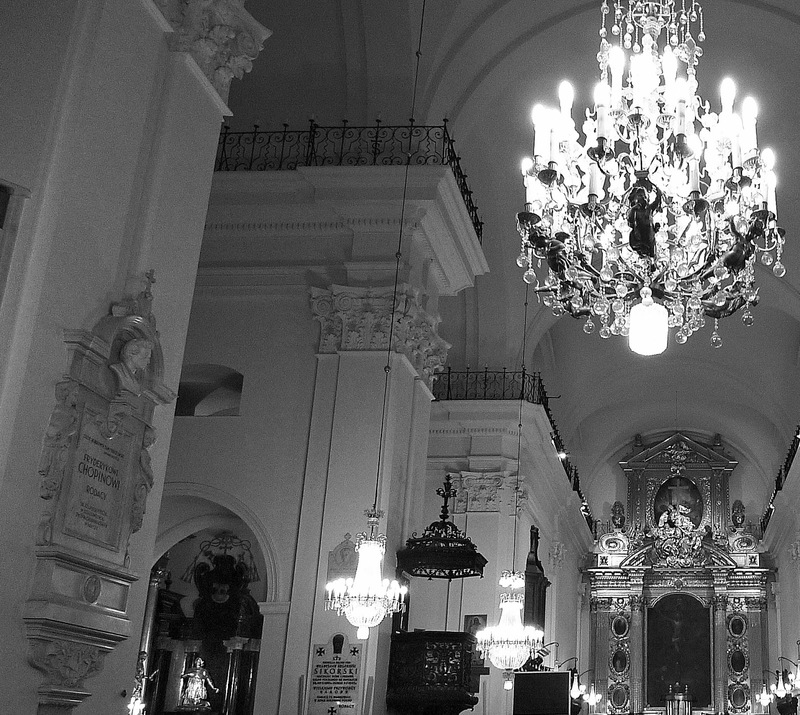 The Church of the Holy Cross is the most suitable setting imaginable for this sacred work and its acoustic is splendid. The work is in fourteen short movements with texts selected from the Bible by Liszt’s companion, Princess Carolyne von Sayn-Wittgenstein. It was written for mixed choir, soloists and piano or organ. 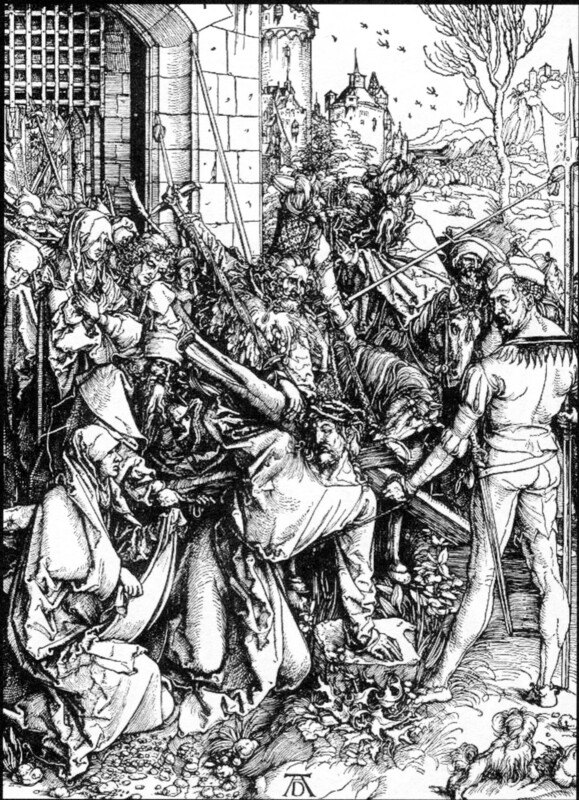 ‘Devotion to the “Way of the Cross’ is very widespread among Catholics. Many churches feature images of the fourteen Stations of the Cross, which in Good Friday, the faithful follow with an officiating priest. I have participated in this ceremony, notably at the Colosseum in Rome, steeped in the blood of the holy martyrs. In the pages of music which follow I have attempted humbly to express my devout emotion. This was one of the most extraordinary pieces of music I have heard for a very long time. At the time it was composed it must have been shocking indeed it is so forward-looking in its atonality and avant-garde ‘harmonies’. Refused by publishers it was not performed until fifty years after it was written on Good Friday, 1929 in Budapest. Liszt himself said he ‘was quite shaken by it.’ Not only is the pain of Christ himself depicted but also the suffering of the witnesses, especially his mother. At the conclusion of this profoundly moving work I did not want to hear applause, I simply wanted to remain silent and meditate. The profound spiritual impact of this rarely performed music of Liszt in this unsurpassed setting was something I shall never forget until I too am taken away. 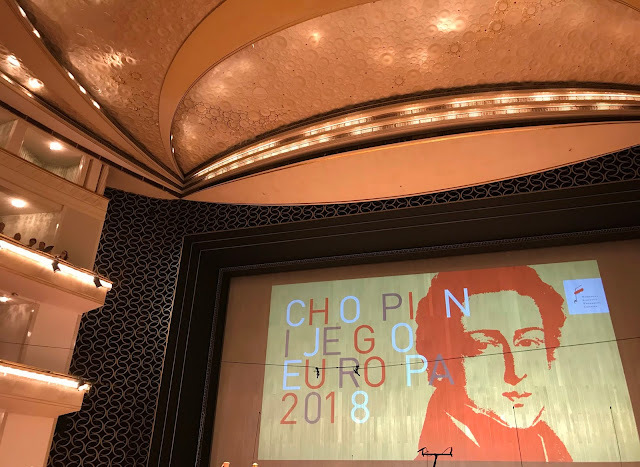 And so this marvellous Chopin i jego Europa (Chopin and his Europe) closes for another year and Mr. Leszczyński, the Festival Director of the Fryderyk Chopin Institute, remains an inspiration to us all in his imaginative and exploratory music programming. He must also be heartily congratulated for persuading such fine artists as we have heard to come to Warsaw in the year of Liszt – no mean feat. Of all the pianists I have heard this season so far, the most remarkable in terms of their individuality have been Daniil Trifonov, Denis Kozhukhin and Francesco Piemontesi all at the Duszniki Zdroj Festival (see posting) and Trifonov again in Warsaw. Try and obtain recordings of all (Chopin Institute - Trifonov; Claves - Piemontesi; MP 3 Downloads - Kozhukhin) or try Youtube (but please listen only on excellent reproducing equipment).